Staying fit can be simple and activity trackers will help you here. Activity trackers are wearable devices through which you can have a check on the heart rate, count the steps, count the calories burned etc. So, if you are searching for the best activity trackers, here is a list. Have a read! 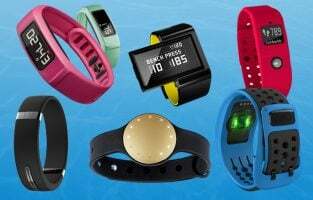 The market is flooded with activity trackers of all types, shapes and pricing. Many are skeptical about actually investing in one because even when you make the purchase, you may sometimes end up not using it at all. For those who are keen on jumping into this health-tracked lifestyle, the LetsCom Fitness Tracker HR is an amazing addition that gets the job done within your budget. Being an affordable solution makes it easier for you to purchase more of it for multiple family members. When everyone uses the same gadget, it is easier to monitor activities to come up with fitness and workout plans as they need. While there are always great choices from better-known brands like Fitbit, Apple and Samsung, they require compatible smartphones to make the most out of them. Besides, you should spend over a hundred dollars to just see whether you like using trackers and living a healthy lifestyle by making use of the statistics provided. The LetsCom product does it all, but without straining your budget or your conscience. 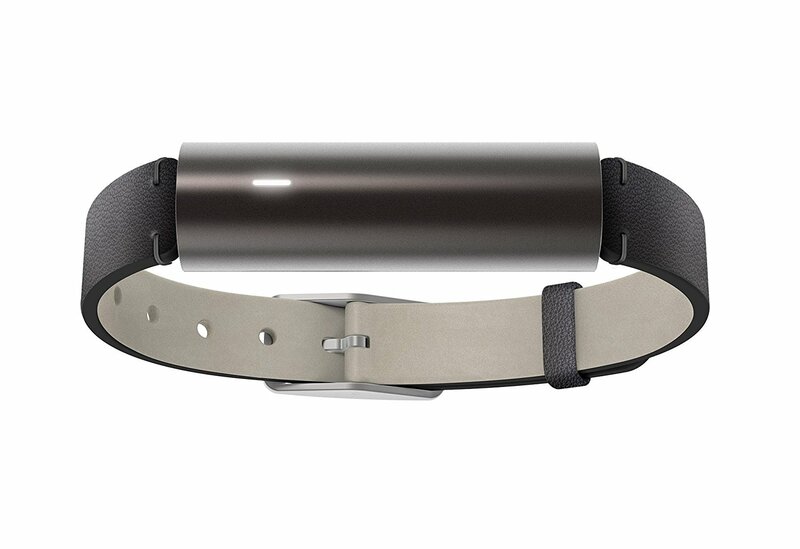 A bunch of amazing features is bundled into this smart band. 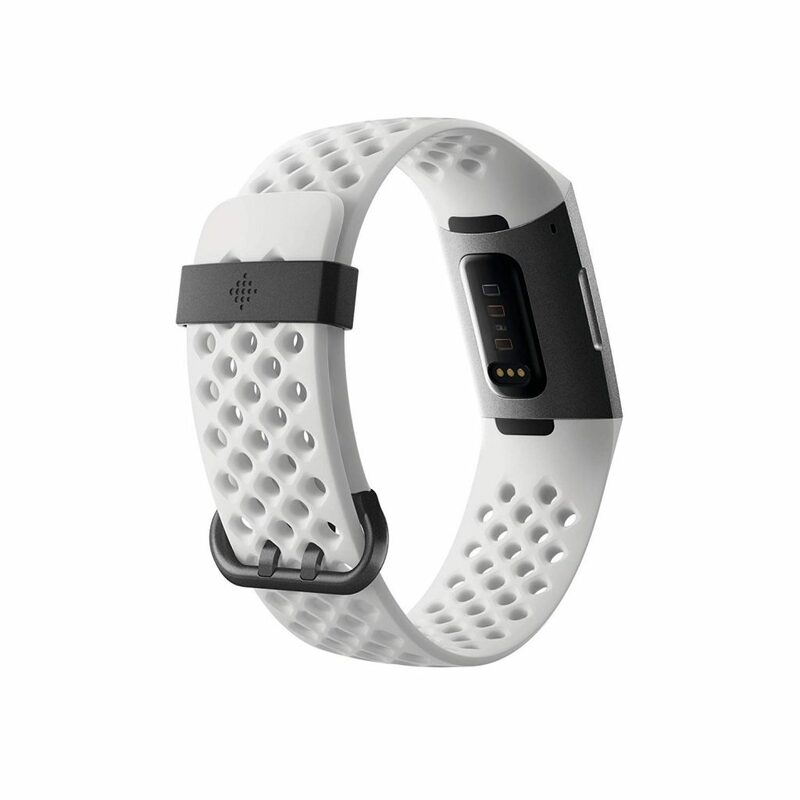 The most prominent features include the heart rate and the sleeping monitor. The heart rate monitor is a useful addition for elderly people and those who are sick to ensure their health is monitored throughout the clock to make informed medical decisions. It also keeps track of sleep quality. Activity tracking is its primary purpose and the slim display showcases steps taken, calories burnt and distance covered. 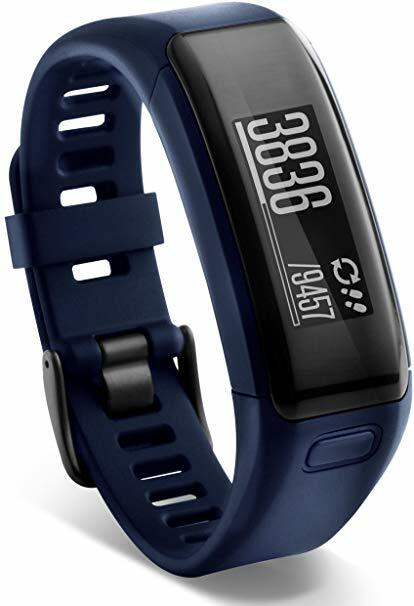 It even has 14 different exercise modes and by connecting it with your smartphone, you can see call info and messages on the smart tracker. The USB plug can be used to charge it using any computer or available charger. The battery is fantastic as it lasts for seven whole days before you have to charge it again. What Makes the LetsCom Fitness Tracker HR a Great Product? When it comes to the world of fitness, there is no better brand than Fitbit. The company has an extensive collection of products that range from entry level straps to high-end smartwatches that is purely focused on helping build a healthy lifestyle. 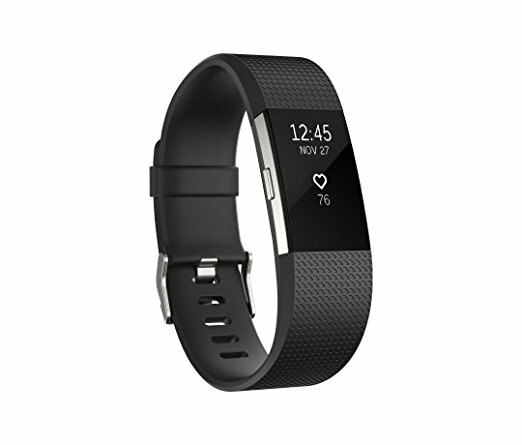 The Fitbit Charge 3 SE is the top of the line fitness activity tracker which is the ultimate product you would need. 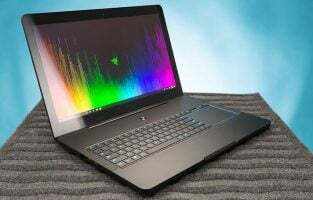 Before you know more about its features, it wouldn’t hurt to know that it costs almost $200, but is worth it for those who are willing to push the boundaries. Fitness activities such as walking, running, swimming and hitting the gym are not as easy as you could easily feel less motivated. The Charge 3 is the best at recording your calories in real time as you burn them and you could see the display to motivate yourself to keep going. 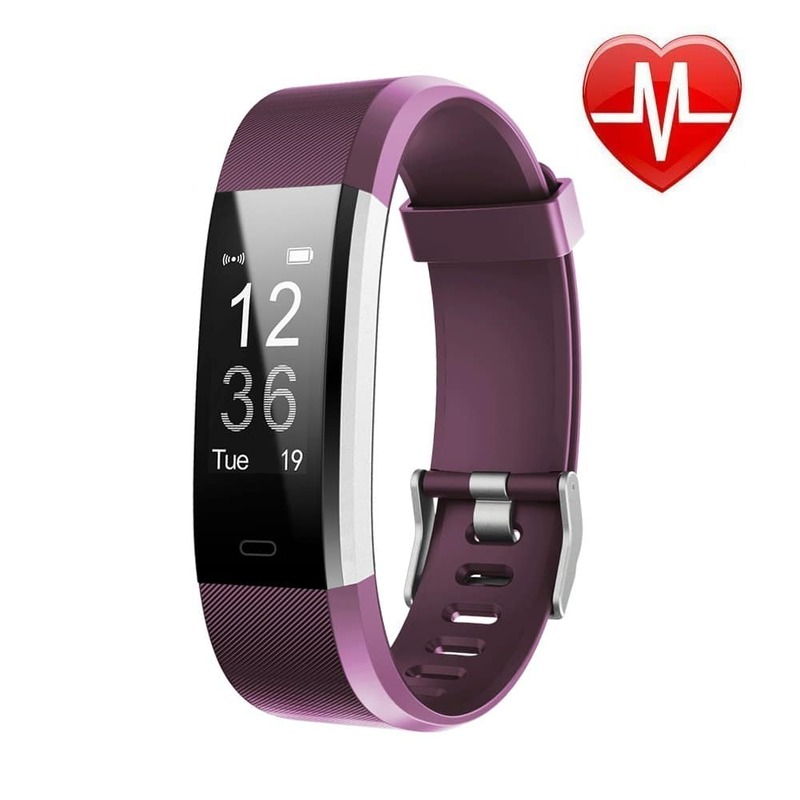 It is bundled with a heart rate monitor which keeps track of HR 24/7 and is capable of sending complete reports to your smartphone for a detailed analysis. The product excels in terms of battery life despite it being filled with so many features. It can run for 7 whole days before it needs to be charged again. The Fitbit Charge 3 SE is integrated with 15 different exercise modes, including running, biking, swimming and yoga. You can set your personal goals and the watch will keep track of them in real time. It is capable of recording your sleep and categorize it as light, deep or REM. Being waterproof makes it even better as it is ideal for swimming and the built-in GPS technology makes it easier to keep track of your location, besides sending the data to your smartphone. The tracker sends call, text notifications that you receive on your phone, weather updates and seamlessly connects with the Fitbit smart app making it the complete fitness and travel gadget you could ever own. What Makes the Fitbit Charge 3 SE a Must-Have Fitness Tracker? Right next to Fitbit, Garmin holds a strong plane in the fitness industry. 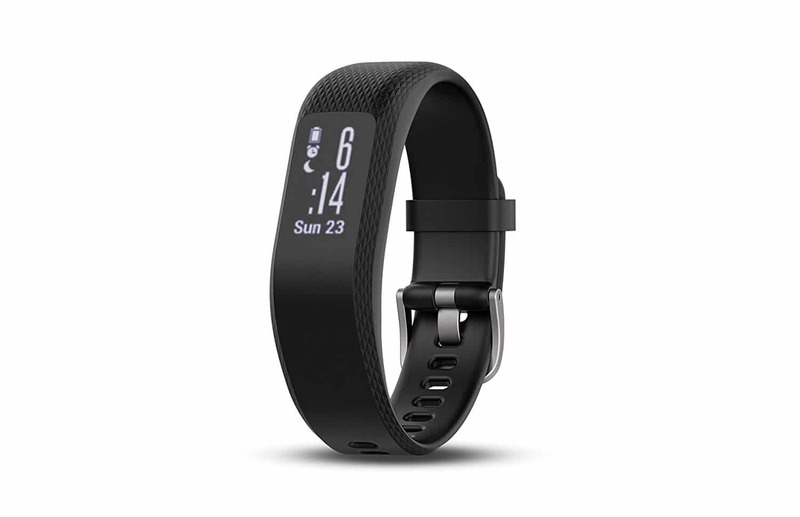 The Vivosmart HR Activity Tracker from Garmin is easily the most popular product in the market. There is a reason to it because it brings the best of features with a balanced price tag, has a simple strap design that is subtle and works great with the official Android/ iOS app. The product is also available in multiple colors, including midnight blue, black and imperial purple. 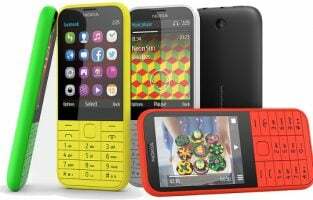 Each one of them is exotic in terms of color choice, look appealing and the sleek display is adequate to display all the necessary information you need. The Vivosmart features a thin display which has a heart rate monitor and keeps track of the calories burned by doing various activities. The company calls the other feature as Smart Notifications. 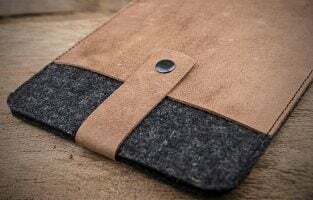 It comes in handy for anyone who likes to keep in touch with their smartphone updates, including calls, texts, social media updates, games and music. The product from Garmin has been officially certified by the American Heart Association and even the World Health Organization which stands proof for the quality of the product and its reliability. All the basic things that a fitness tracker would do is done by the Vivosmart including distance covered, the intensity of activities, steps covered, calories burned and time. The colorful nature of the product further adds to its style factor so that you can wear it all day long without feeling uncomfortable or have to remove it when not working out. It makes it easier for you to keep track of calories you burn throughout the day, distance walked and pave way for a healthier lifestyle. It can also be used to monitor aerobic activities if you indulge in any. What Makes the Garmin Vivosmart HR Activity Tracker a Reliable Product? Fitbit has gone all out with their Ionic GPS smartwatch which is aimed to compete directly against Apple Watch and other Android Wear. The watch is a premium product that is quite expensive and may not fit those who are looking for a cheaper alternative to track their steps. It focuses on providing personalized, step by step coaching to you that you can make use of to achieve your fitness goals. The product is a standalone device that doesn’t rely too much on your smartphones and you can even play songs on it. With built-in storage space, the Ionic allows you to store up to 300 songs, play and download songs from stations found on Pandora or Deezer. It is a unique feature that cannot be found in any other products except for maybe the Apple Watch which is even more expensive than this one. Most fitness trackers are purely trackers, but they don’t focus on smartwatch features. Fitbit has done it with this $200 product which even has an NFC chip. It can be used to download sports and weather apps to be in the loop. The water resistant capability of the product allows you to bath and swim while keeping tracking of total calories burned with the help of the smartwatch. A total of four days or more can be obtained when the battery is on a full charge. In order to make sure the watch fits all wrist sizes, the bundle includes a small and a large band. You can choose the one that best fits your requirement and wear it. The water resistance capability is measured at 50 meters and the watch can track steps, calories burned and sleep tracking. It works with the Fitbit smartphone app so that you can have a quick overview of your statistics and workout schedules to make tweaks to achieve your immediate goals. What Makes the Fitbit Ionic Smartwatch a Recommended Product? Tenpoinn has come up with a product that sounds appealing to almost everyone and you can easily buy half a dozen of these products for the entire family. 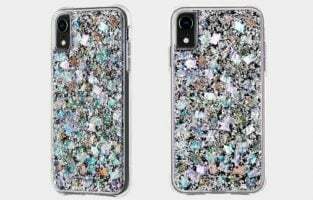 The product’s catchy point is that it is available in two bright colors as well as a black edition for those who prefer subtle designs. It is affordable but does everything an activity tracker would do including calories burned, steps taken, heart rate monitor and a pedometer. The product has been certified to have an IP68 waterproof rating which allows users to use it while swimming and bathing without damaging its internal components. It features a compact 0.96-inch LCD color display which is capable of reproducing HD image quality. The text will look crisp so that you can easily view the steps taken, calories burnt and other information at a glance. The screen brightness is adjustable so that you can take it to your early morning walk and set it to low brightness to keep it easy on the eyes. The dual color strap is a catchy addition making it an appealing choice for people of all age groups as well as kids and women who love bright color choices. A total of 14 modes are available in the tracker including dedicated plans for walking, running, cycling, yoga and other sports activities. This is a very informative product which can provide SMS alerts, allows you to control your smartphone camera remotely, set alarms, sleep alert and make use of the GPS to identify your current location. 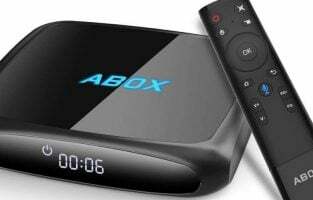 It seamlessly connects with your smartphone and alerts you whenever there is a new message, phone call and social media updates such as Facebook and Whatsapp. The app is available on both iOS and Android phones. What Makes the Tenpoinn Fitness Tracker a Good Product? 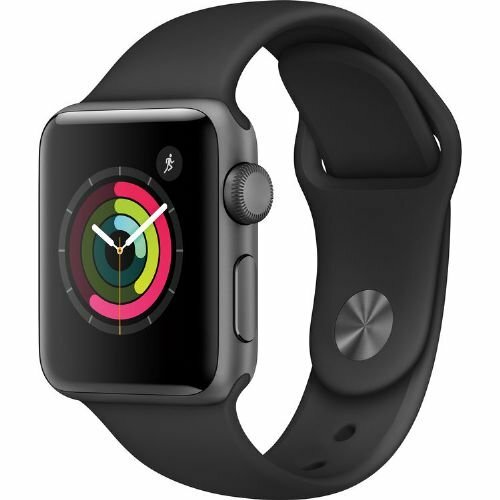 We can easily list even tens of other activity trackers that made it to the top list, but it can never be complete without mentioning Apple products. The company holds a special place for making the smartwatches so premium and expensive even though they are basically trackers that keep track of everything you do, right from calories burnt, steps taken and distance travelled, to the quality of your sleep. The latest in their lineup is the 44 mm case that is large, has more headroom to display content and is definitely an experience that no other brand can come close to. 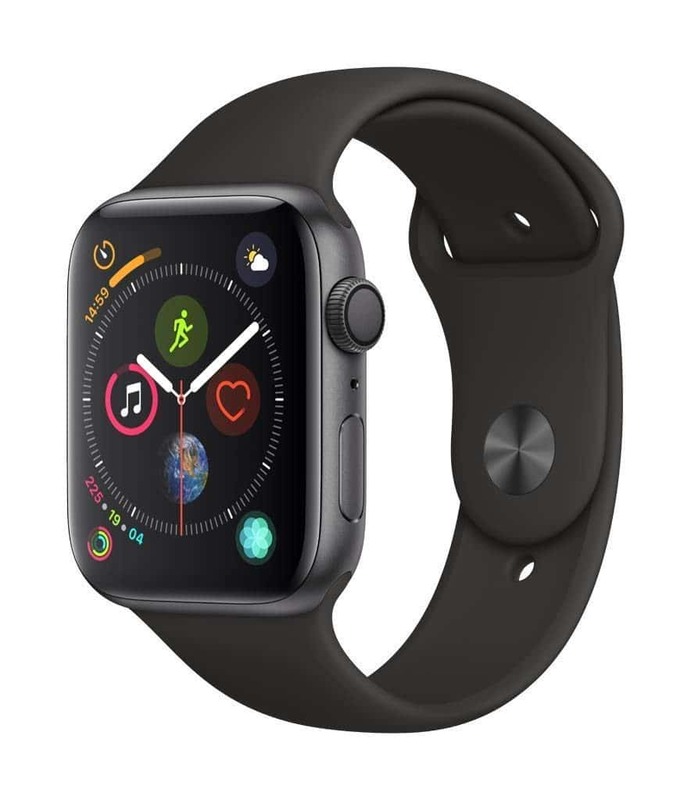 With just a quick glance, you can easily find that the Apple Watch Series 4 boasts of some of the premium materials that the manufacturer has used to construct it. It feels sold to wear, has a very stylish look to it and you can choose from a wide variety of bands to suit your taste. The particular model is made using an aluminum case with a black sports band. It has GPS capability and there are no points for guessing that this watch works only with the Apple iPhone. 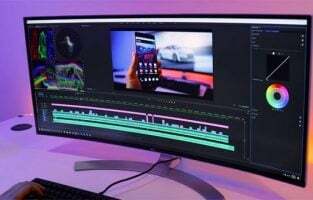 According to the company, they have significantly improved the size of the display to showcase more information. The watch also has a loudspeaker to make announcements, trigger alarms and reveal workout statistics with the help of Siri. The digital crown has haptic feedback. Under the metal chassis, the Apple Watch Series 4 is powered by S4 SiP 64-bit dual core processor and it now supports an e-sim, so that you can use it individually without having to have an iPhone nearby. The watch can be used when swimming and showering. It has an improved heart rate monitor and can even trigger an alert to your doctor in case you fall down unconscious. What Makes the Apple Watch Series 4 a Premium Experience Like No Other? Ticwatch has a strong lineup of multiple smartwatches from which you can choose your pick based on your usage scenario. The Ticwatch S is just one among many as they have the Ticwatch E, Ice, Aurora, Glacier and other variants. While almost all of them perform the same smartwatch and best activity tracker activities, each one of them has a unique design and build quality that will be an apt fit for individual requirement. An added advantage is that these are the latest models that are fully compatible with Google Assistant. The watch runs on the Android Wear 2.0 operating system and allows you to download your favorite apps, games on to it. It is a convenient way to get important apps related to health, sports and news so that you can easily stay updated on the go. There are thousands of apps already available and it shouldn’t be difficult to pick the right one. Being an activity tracker, it does a range of tasks including heart rate monitoring, calories burned, steps taken, walking and running distance among many others. Google Assistant compatibility allows you to get everything done with the comfort of your smartwatch. It easily connects with your Android smartphone and the advantage is that you can make calls, send messages or create alerts in your calendar by simply talking into your watch. When you are running or working out in the gym, just use the Ticwatch to send a message to your family or friend that you will be running late. OK Google is the keyword to access the majority of the features on your watch and the phone. The different colored dials and straps make it a great pick for anyone who is looking for style and substance combined into a single product. What Makes the Ticwatch S Glacier Edition a Great Gadget? This is one of the best activity trackers in 2019 which can help you greatly to stay fit in your hectic schedule. 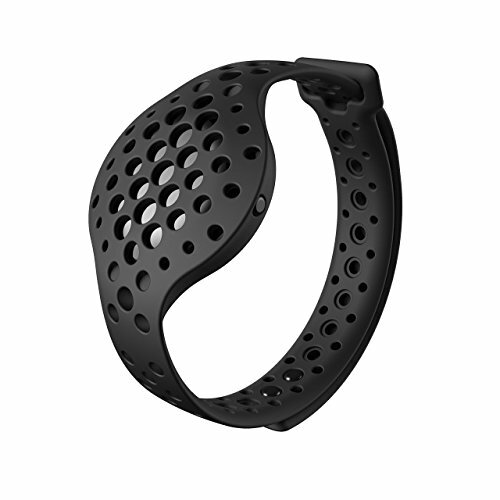 This band can be worn as a wristwatch while it let you track the heart rate, distance traveled, measure the sleep, calories burned and more. The best part of this band is the activity reminder prompts that help you stay active during the entire day. Caller ID and ability to read the text message is a really helpful feature of this band. It is extremely lightweight and it has an elegant design. 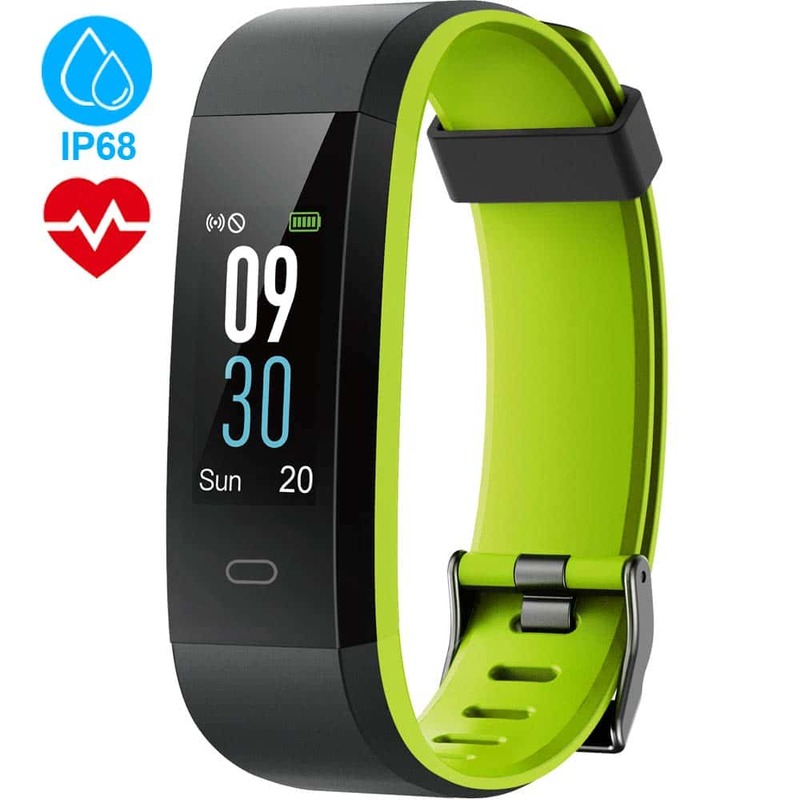 This is another fitness tracker to mention in the list which is really affordable. However, it lacks the heart rate monitoring feature while all other basic ones are there. It does not have any screen, so this cannot be used as a watch. But the best part is battery life which is six months long. 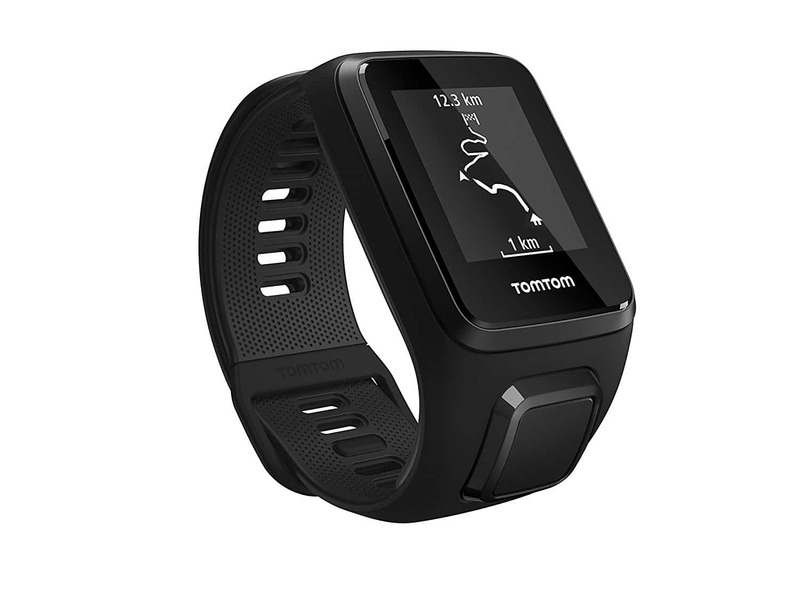 The available features are a step tracker, boxing, and rep based training, sleep monitoring features, swimming mode. However, GPS is not included. But, it is no doubt one of the best choices if you are looking for an activity tracker with the basic features. One more Fitness tracker to include on our list that comes wrapped with the waterproof feature so you can wear it while taking bath as well. It does not have any screen. The LED indicator shows the progress of your activity. Step counts, distance traveled, sleep measurement etc. are done by this tracker. It can be worn as a band while you can also choose to wear it with the necklace as well. But it does not have any GPS or heart rate monitor. Fitbit Charge 2 will definitely be loved by every fitness enthusiast as it comes packed with all the needed features. GPS is also available as soon as you connect it with a smartphone. This is actually the upgraded version of Charge HR and is priced more or less same. Fashion conscious people will definitely love this piece. The interchangeable band and the large display is another thing to attract users. 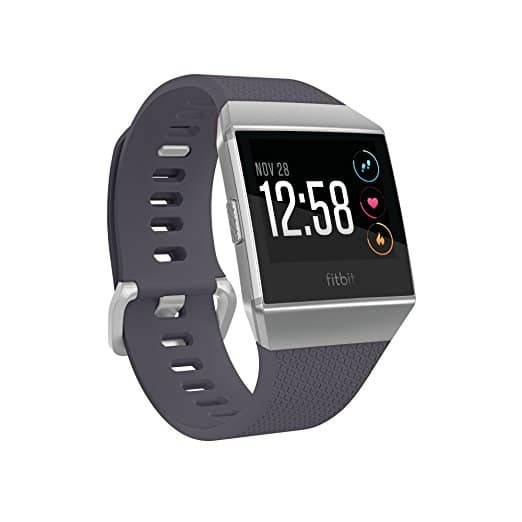 Fitbit Charge 2 is available at Amazon at a very reasonable rate, so head towards the online store and see if it is what you are actually demanding. 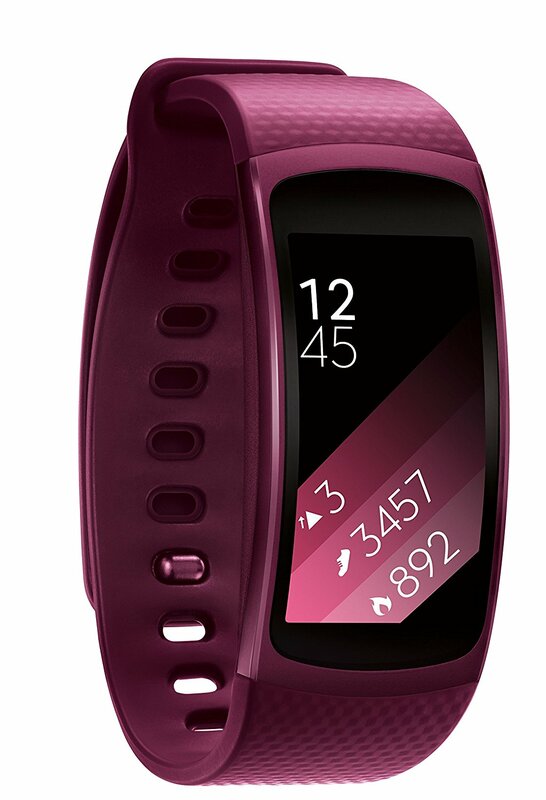 Samsung has made their presence in the fitness tracker world as well and their Samsung Gear Fit 2 is really fantastic. The features of this wearable device include a large 1.5inch AMOLED display, heart rate monitoring, GPS, activity tracking, waterproof feature etc. The larger AMOLED display ensures that you can see every detail of your activity very clearly. It works with all the smartphone such as Android and iOS. The battery life is 3 days. This piece is an ideal for all those who love to stay fit all the time. It has the waterproof feature which ensures you can wear it while taking a bath or when swimming. Heart rate monitoring, rep counter during heavy exercise is also done through this band. However, if you are talking about the GPS connection, it lacks that functionality but the other attractive function is its ability to control the music from the smartphone. Its battery life is average and it lasts 5 days. The most expensive and feature rich wearable to mention in our list which comes packed with all the functionalities. So, whether you are looking for a waterproof fitness tracker, with GPS, excellent battery life and of course which can be used as the wristwatch as well, this smartwatch is a great option to go for. It can be synced with the iPhone, so ensure to have an iOS device for that. If you have no limitation on the budget then we will suggest going for this one which does not lack any single feature. This is another great activity tracker. If you want to enjoy music during your exercise this is the piece to go for. It is compatible with both Android and iOS, so not to worry which phone you have, rather just go ahead to buy the watch and stay fit. GPS route navigation, heart rate monitoring etc. are some of its great features. The route navigation feature helps you explore new places with ease. 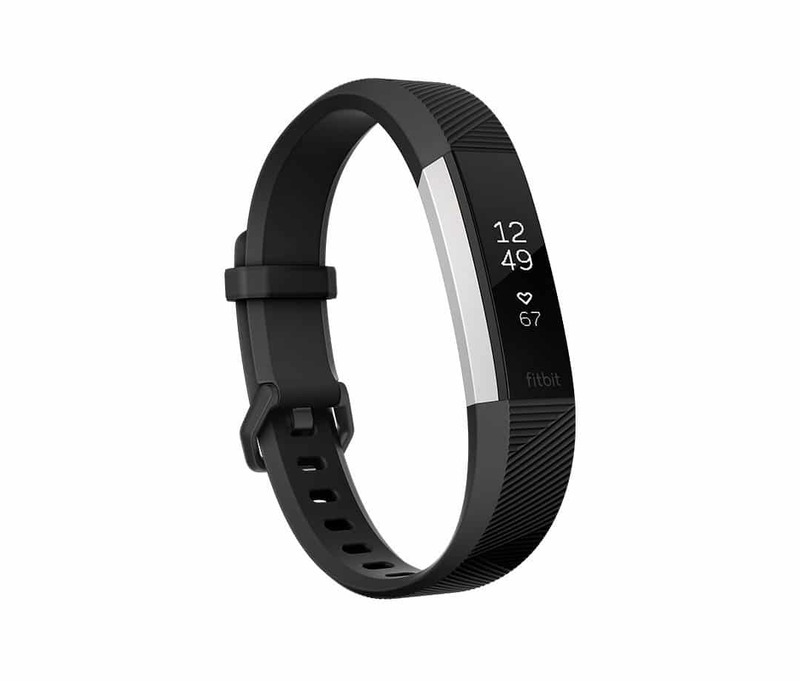 One more Fitbit fitness tracker that comes with a great set of options. 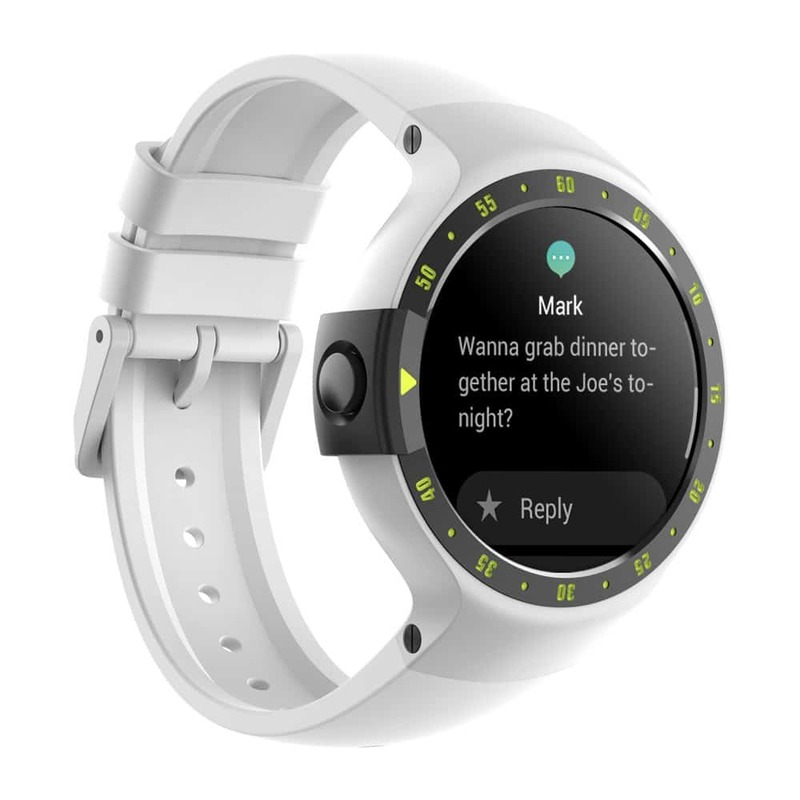 The smartwatch features such as the notification for text and call, ability to receive and make calls etc. are really enjoyable. It lets you choose from around 18 exercises as the fitness band. The number of apps is limited. Still, this activity tracker is equipped with all the needed features. The battery life is pretty great, it lasts about two weeks. This activity tracker comes with a big display that let you swipe with ease. 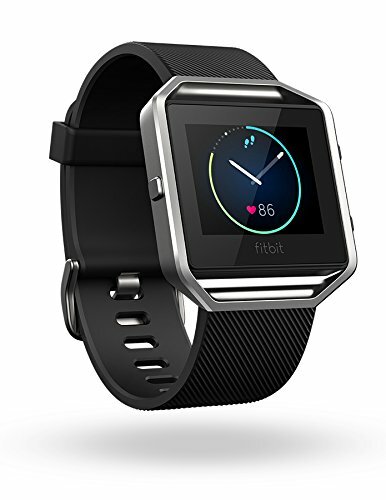 Fitbit surge is just perfect for all fitness enthusiasts. It looks really good on the hands of power users that is wrapped with great features such as heart rate monitoring, built in GPS, and more. 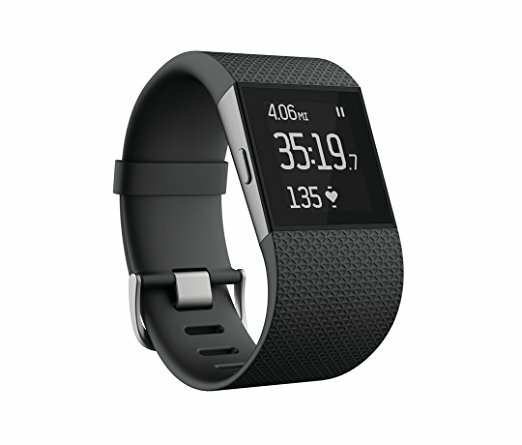 However, the price is a bit higher than other Fitbit fitness trackers. But it does offer more features. So, these are the 10 best activity trackers to buy in 2019. Most of the trackers mentioned here are available in the reasonable rate while some of them are expensive. All these are of high quality and that’s most important.